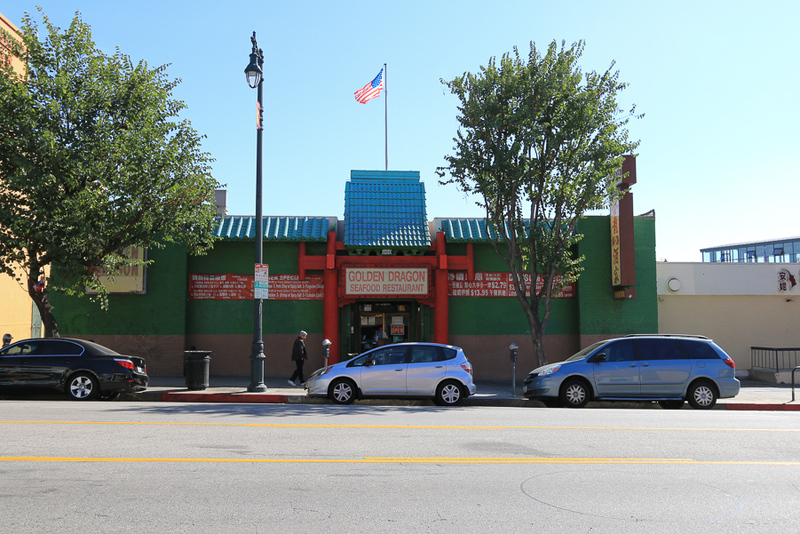 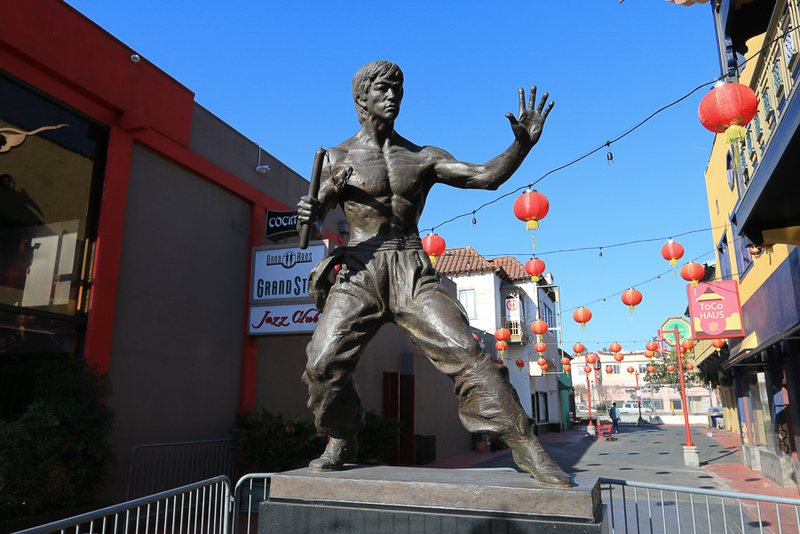 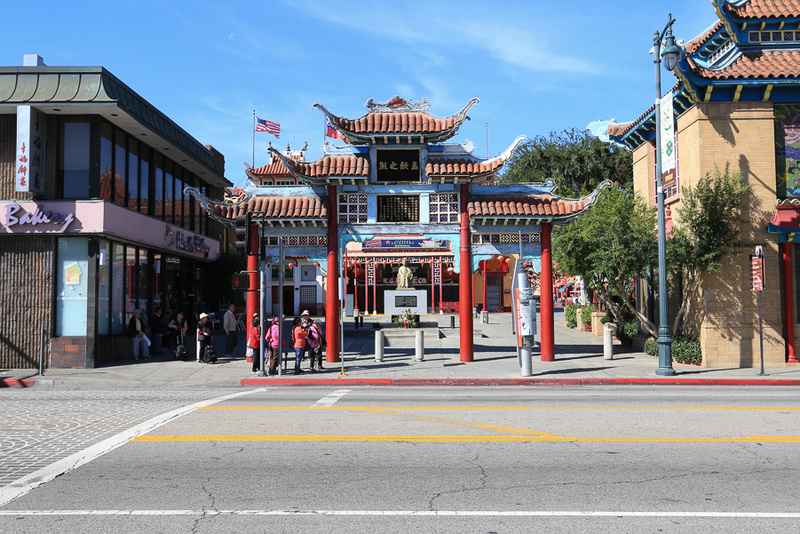 October 31, 2018 - Well, it was Little Tokyo last week so we decided to tour Chinatown this week. 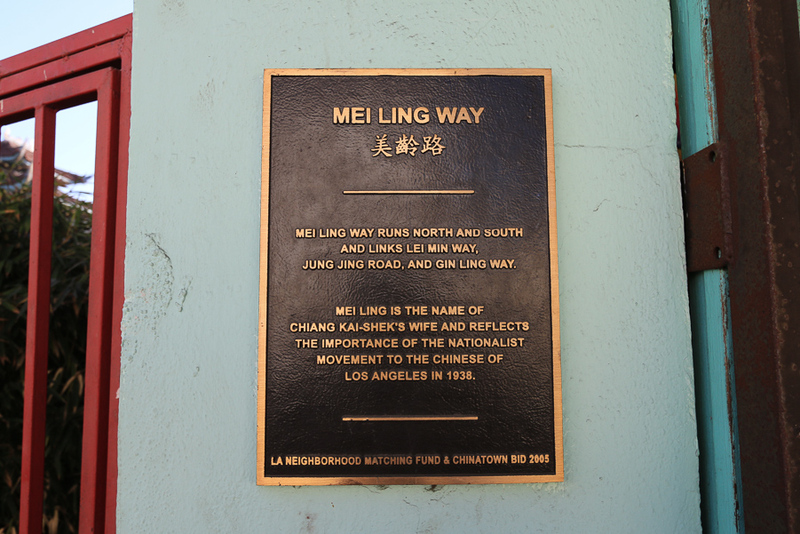 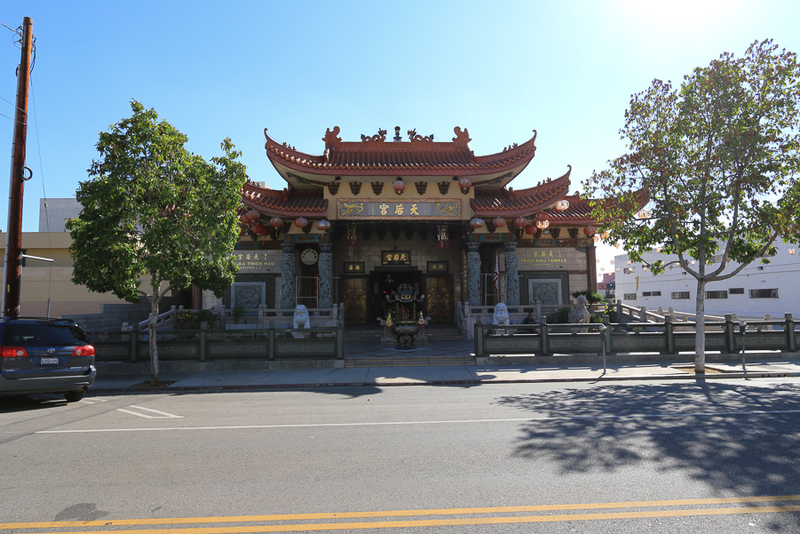 The first Chinese were recorded to be in Los Angeles around 1852 and continuous settlement began in 1857. 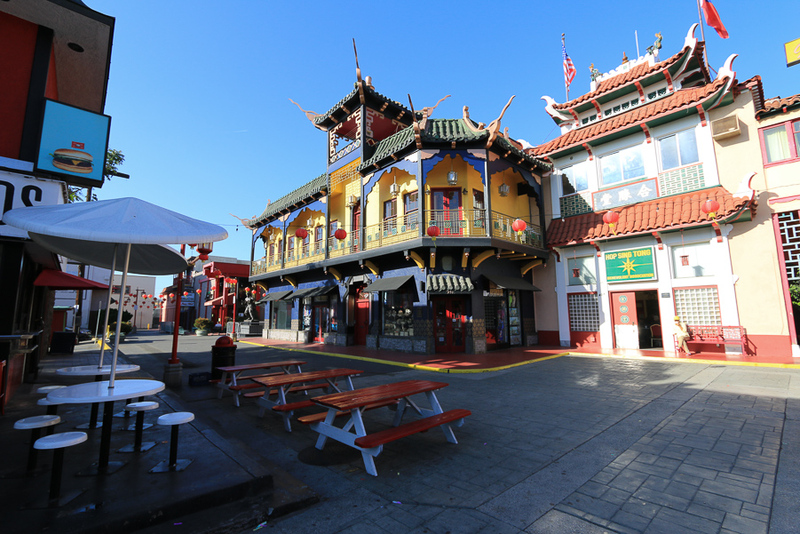 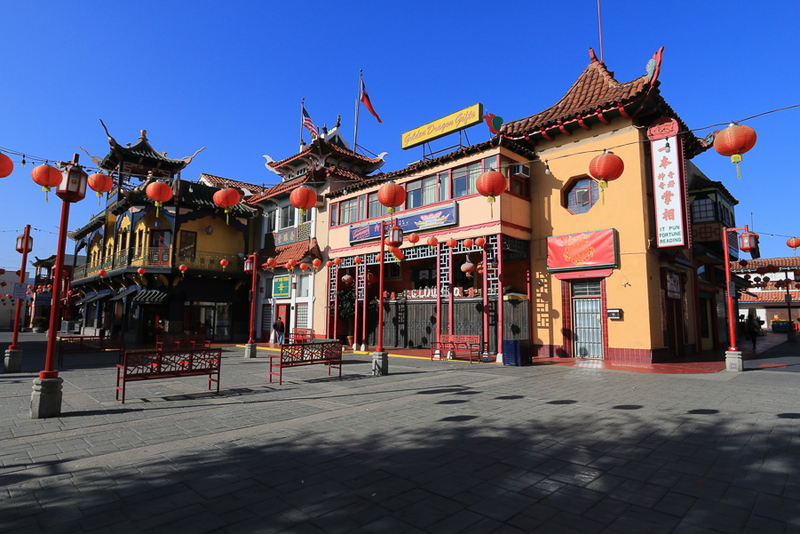 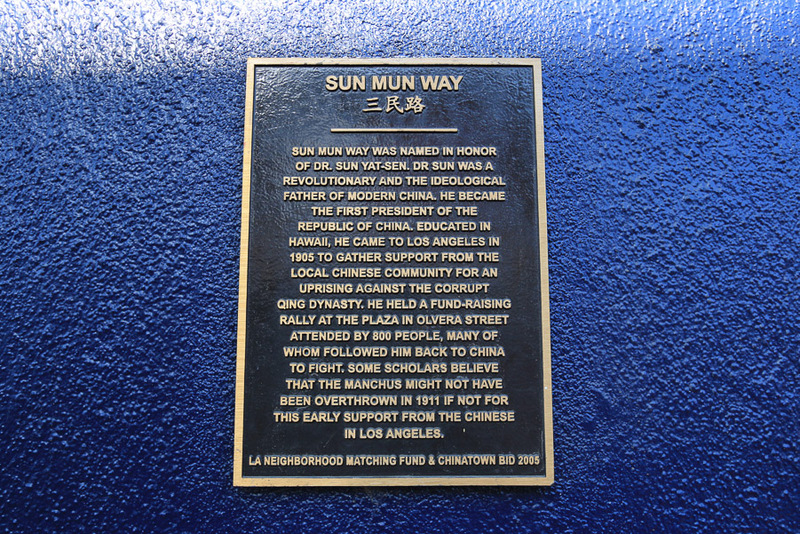 By 1870, an identifiable “Chinatown” of 200 persons was established in the original Chinatown location. 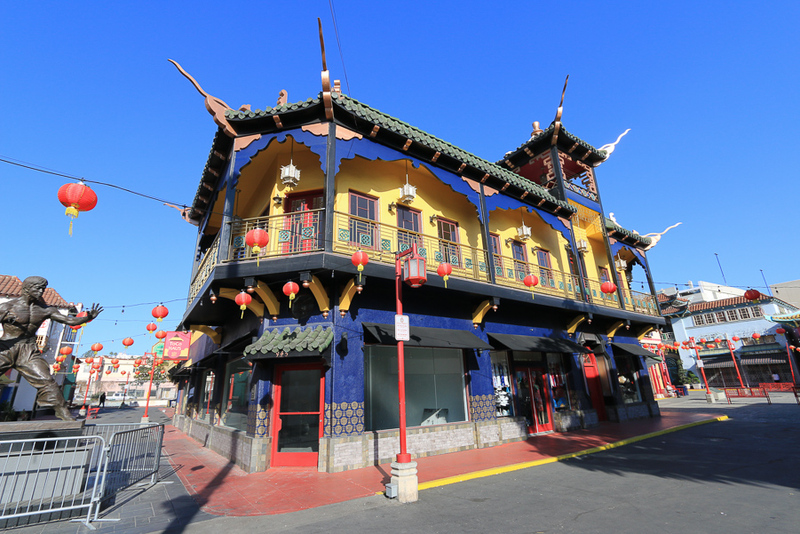 Old Chinatown in its heyday, from 1890 to 1910, could count 15 or so streets and alleys, and perhaps 200 building units. 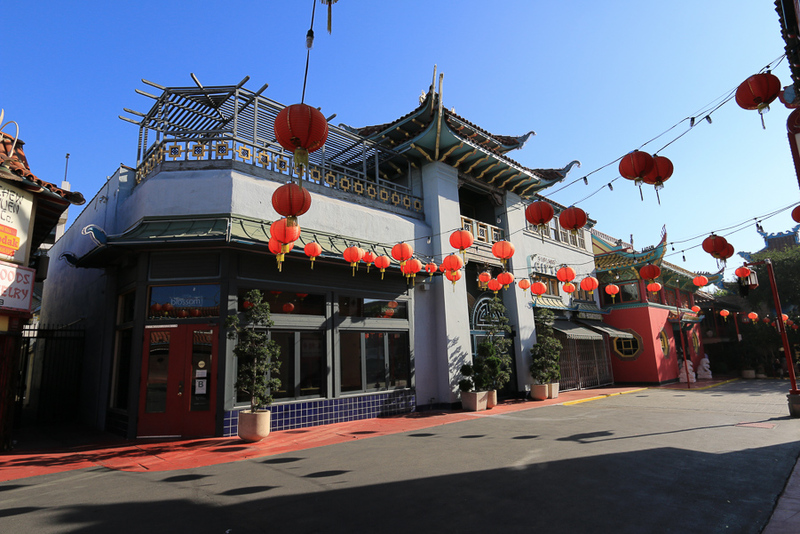 The original Chinatown was demolished to make room for Union Station, the city's major ground transportation center. 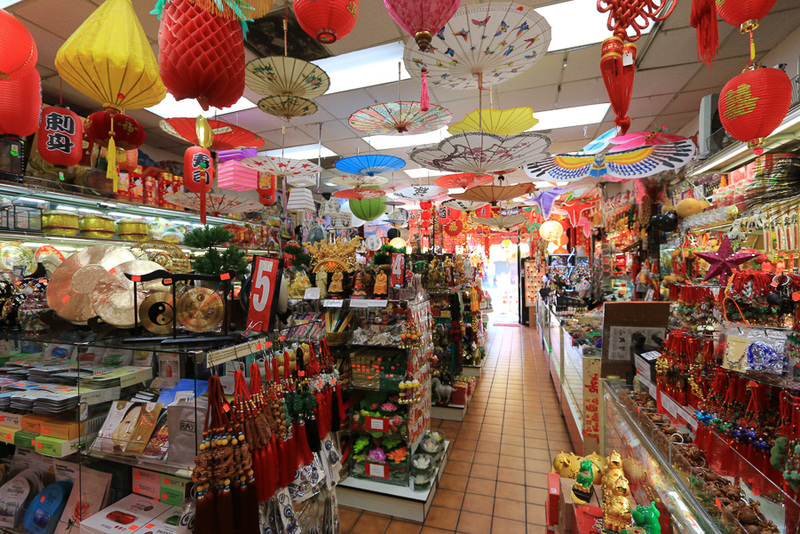 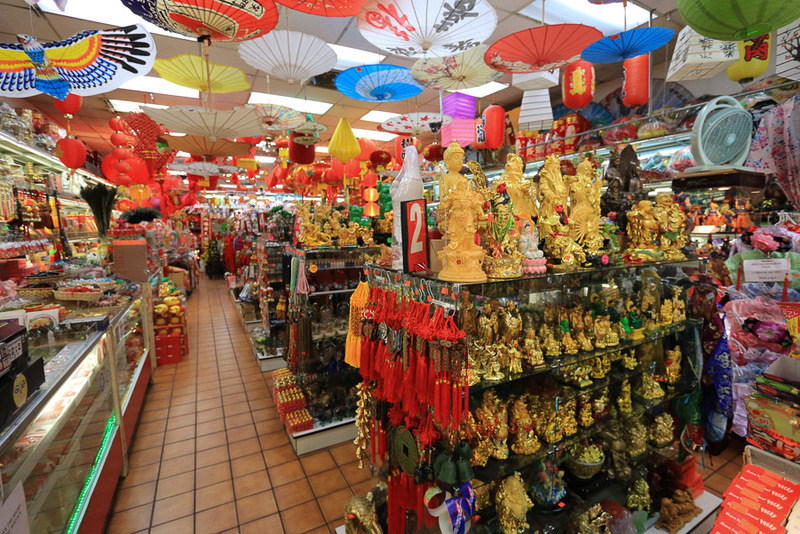 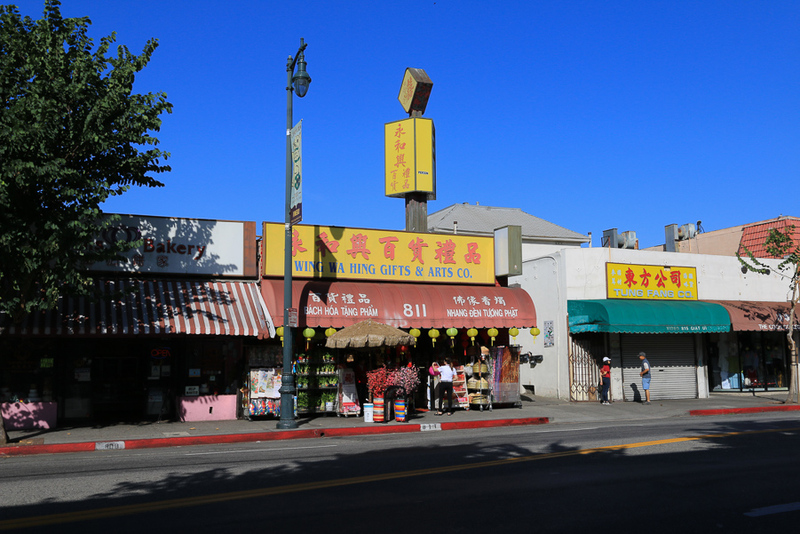 A separate commercial center, known as "New Chinatown," opened for business in 1938. 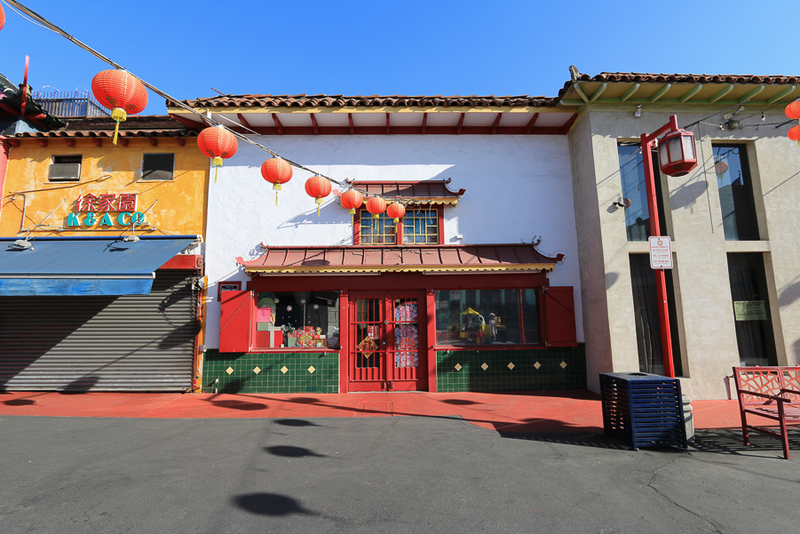 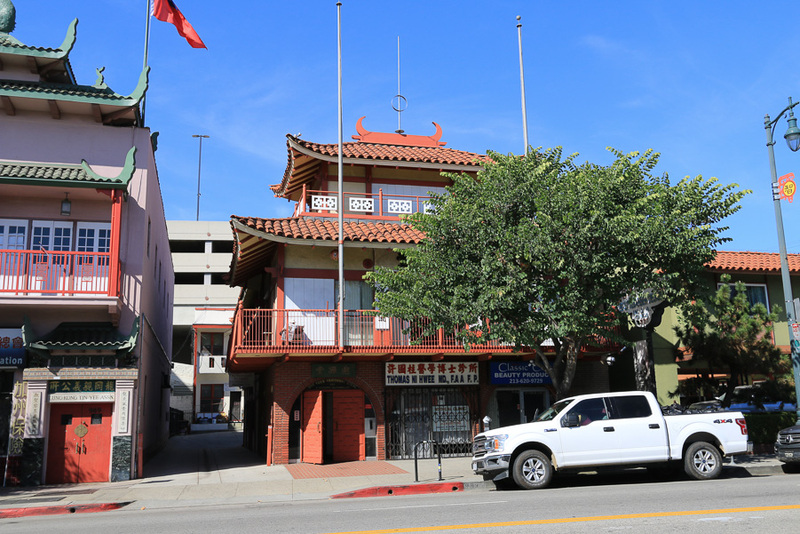 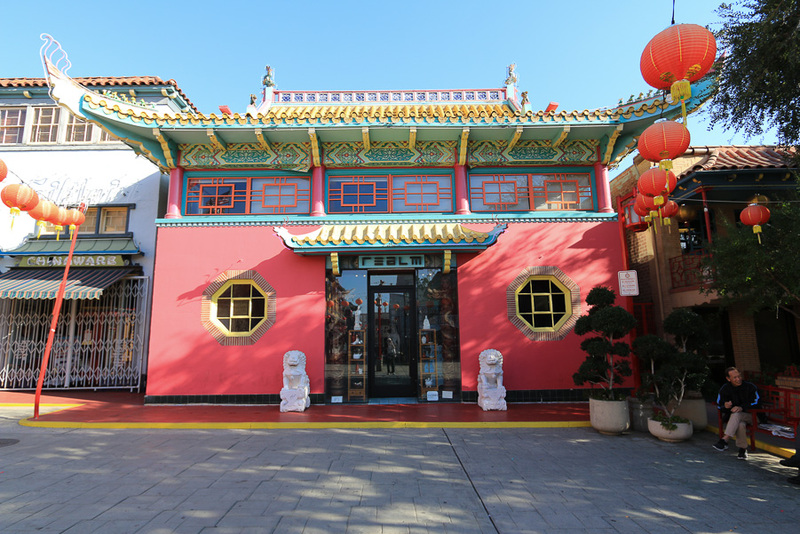 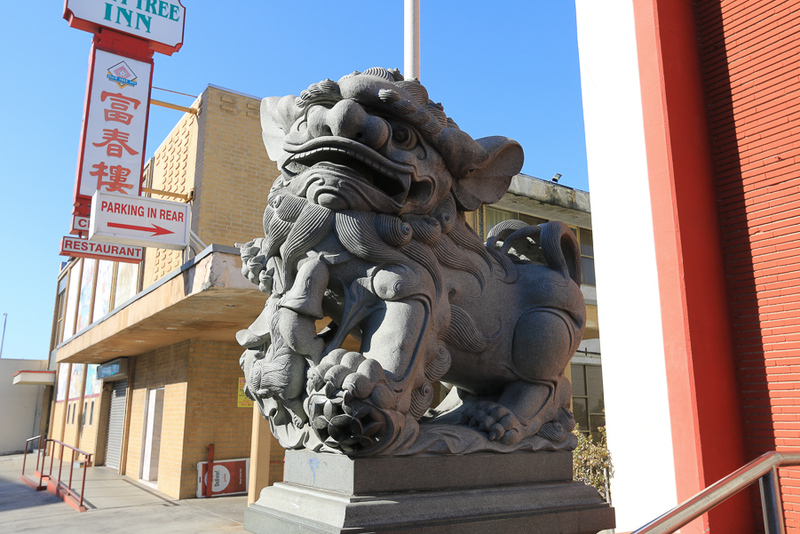 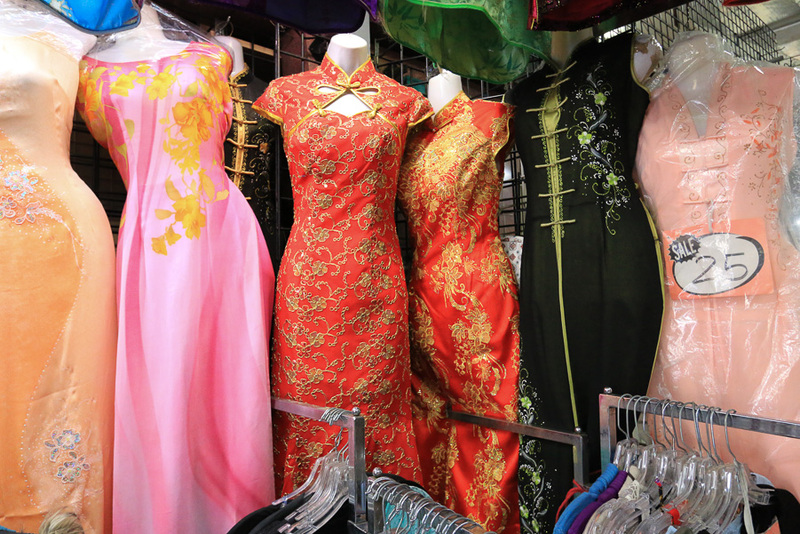 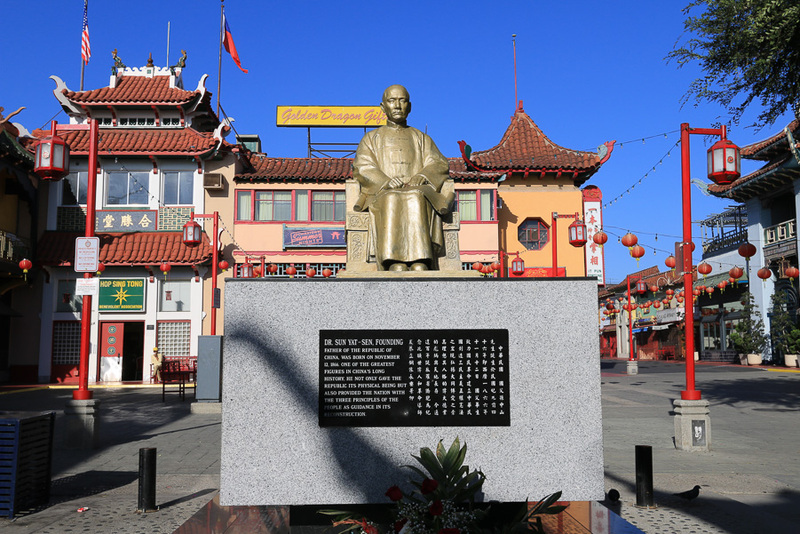 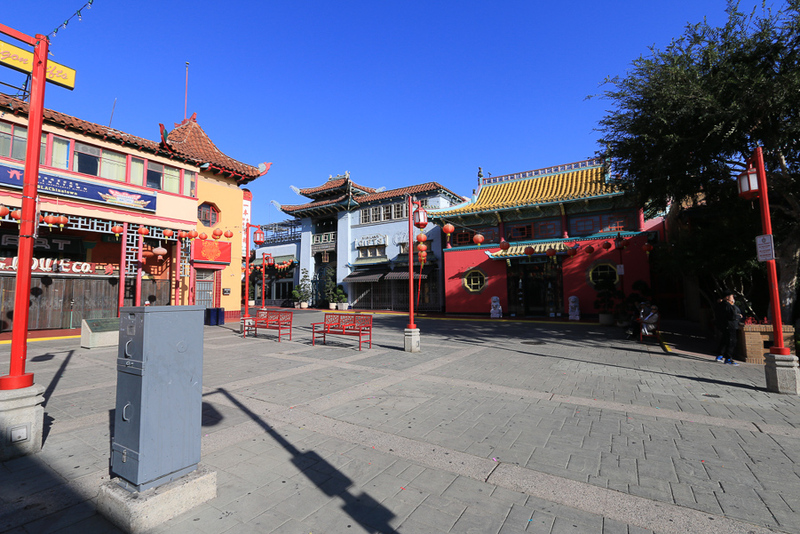 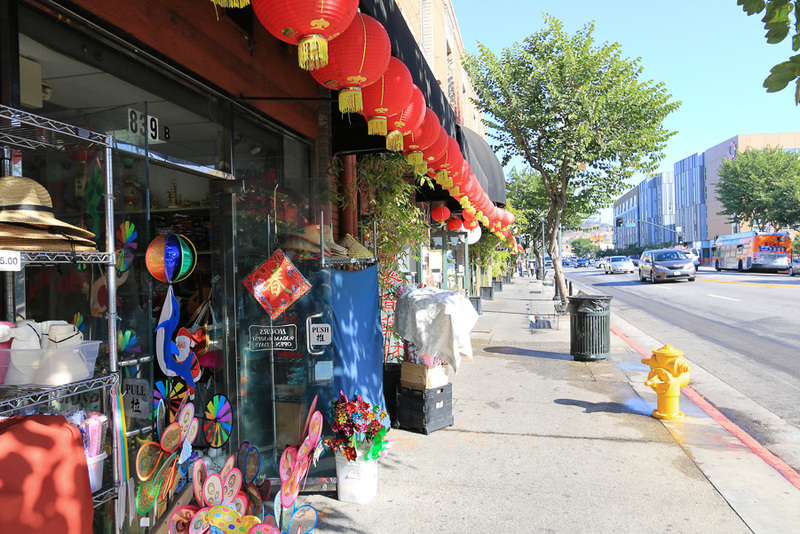 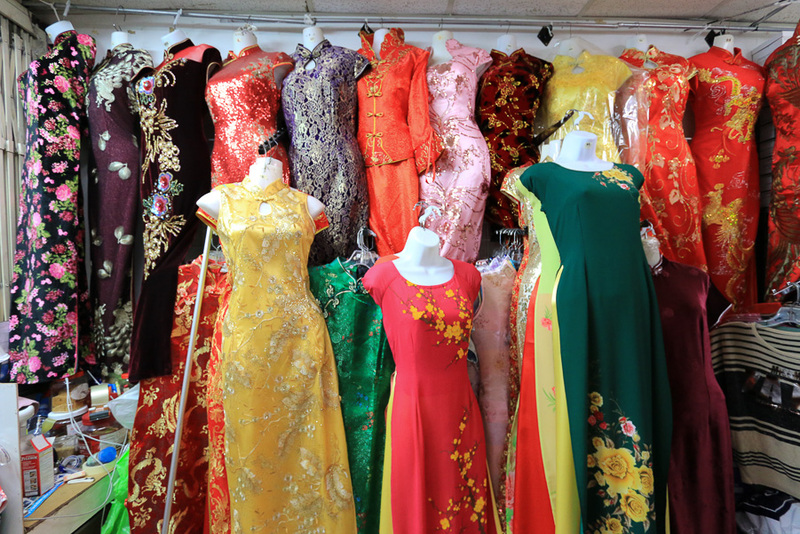 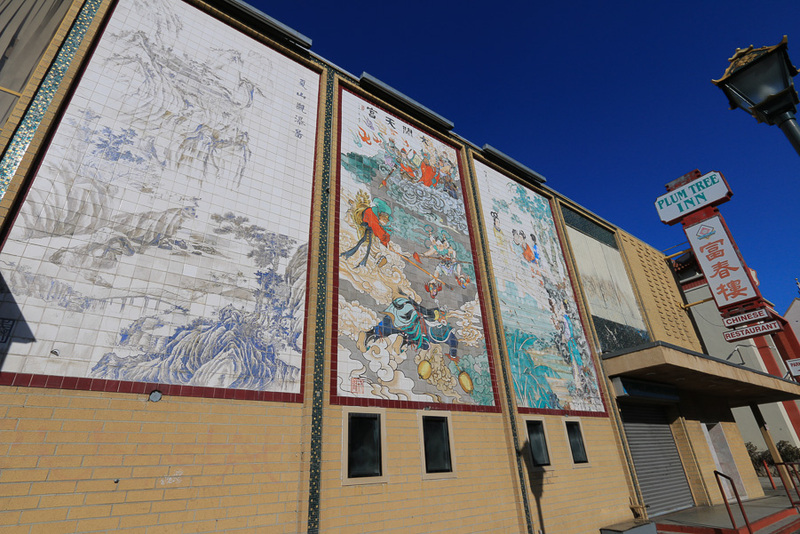 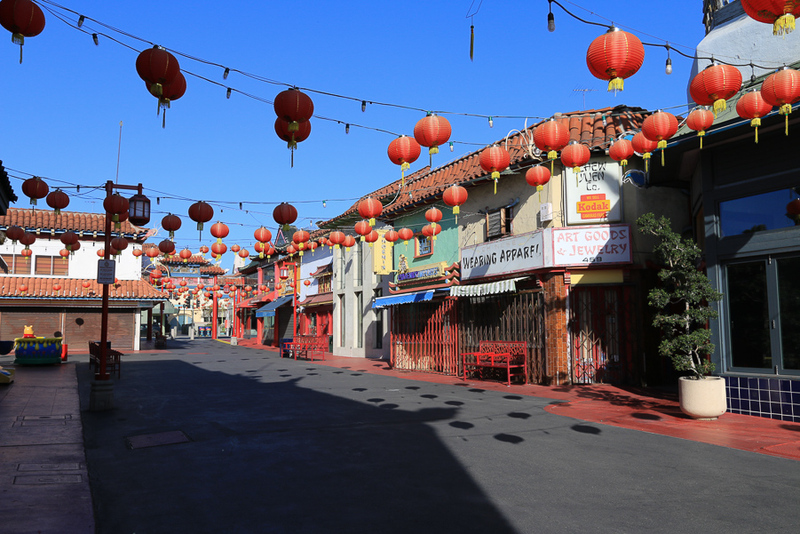 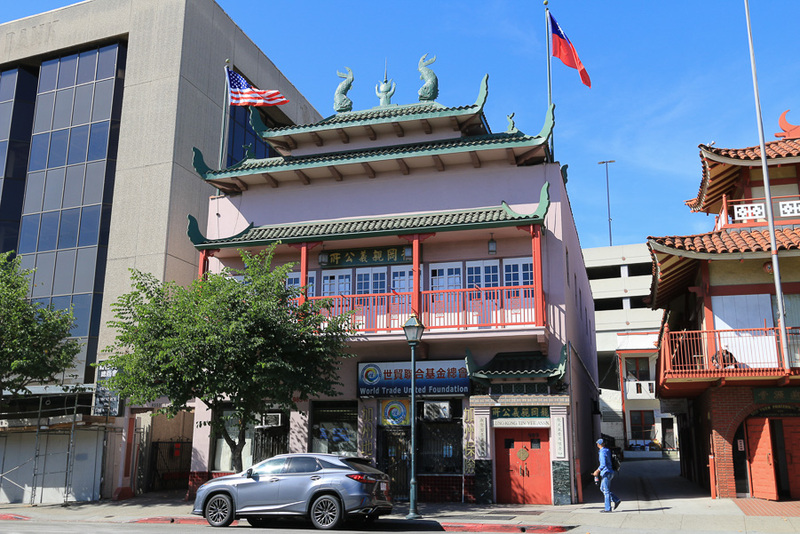 New Chinatown has restaurants, shops and art galleries but, it also has a residential neighborhood with a low-income, aging population of about 20,000 residents. 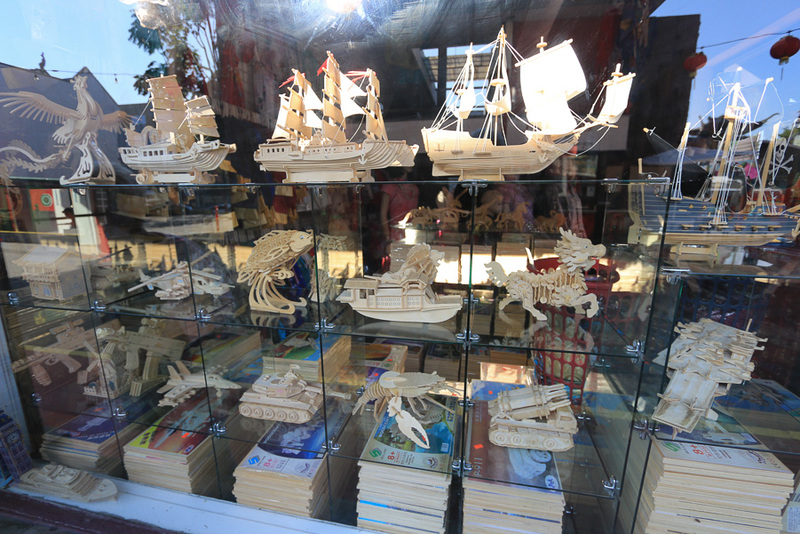 Several stores had these wooden pre-cut figures that are sold in flat packages and then assembled. 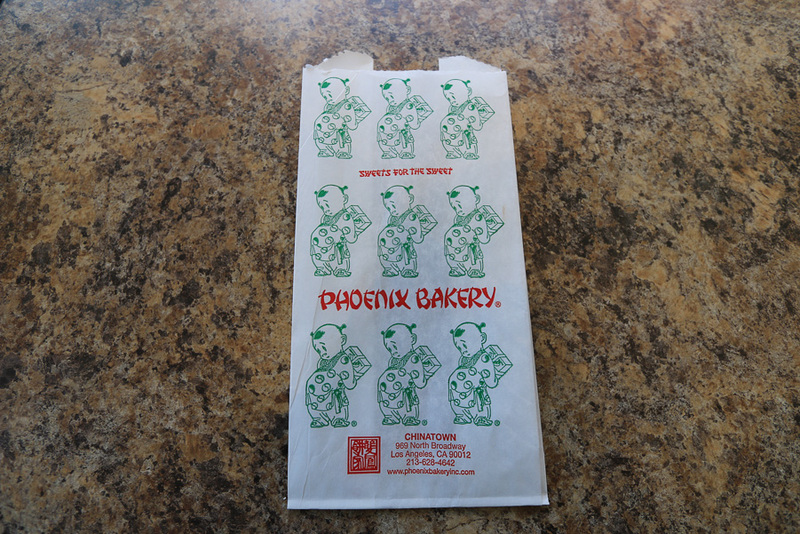 They cost only $3.00 to $5.00. 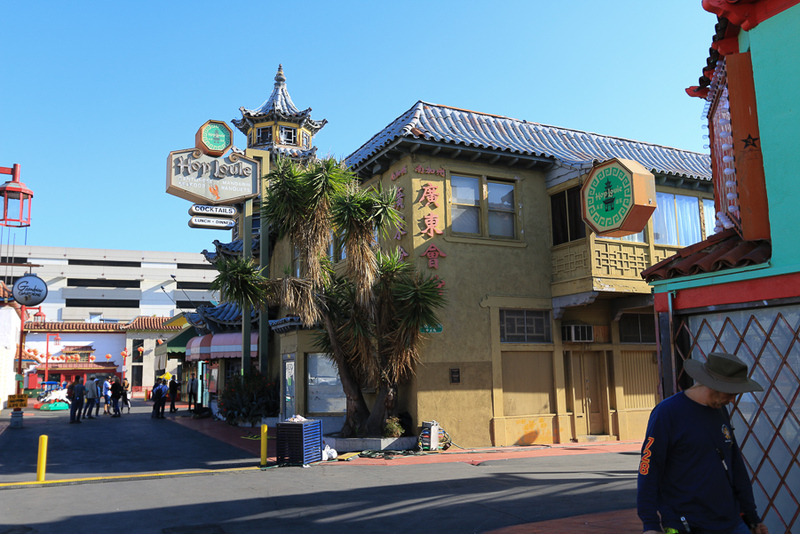 The Hop Louie bar was closed for a film shoot. 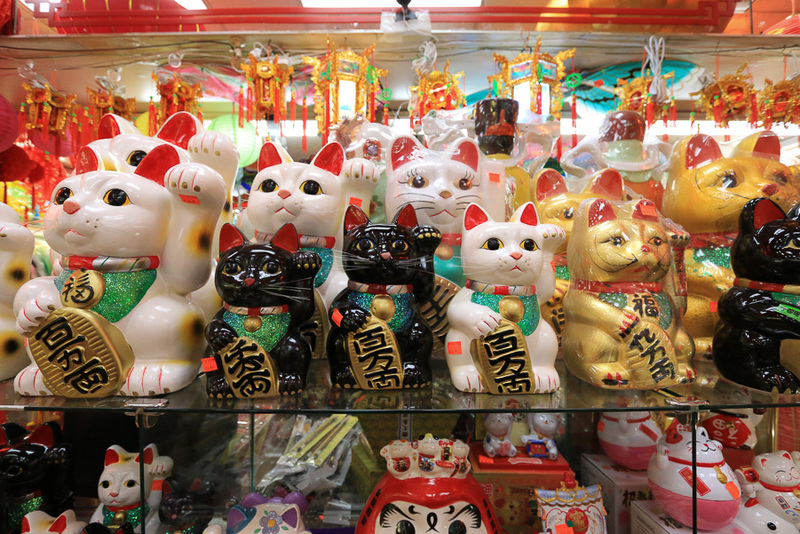 We looked at many stores, but we liked this one the most. 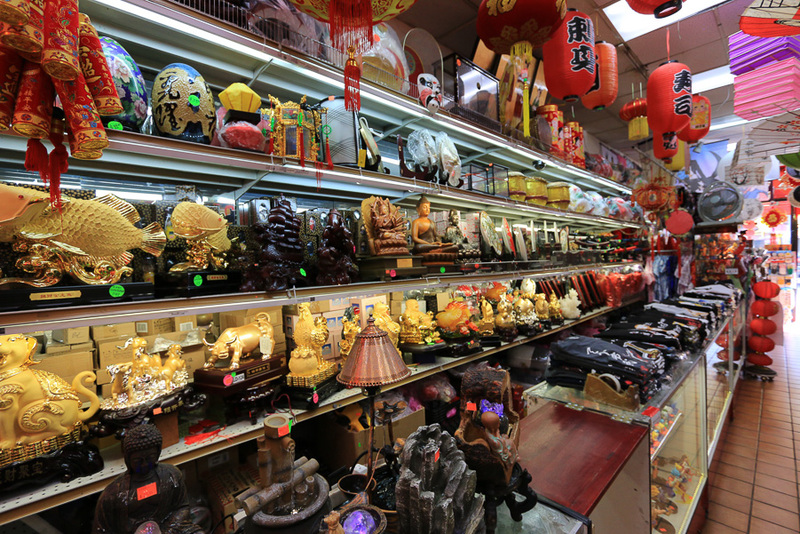 These two pictures were taken in another store. 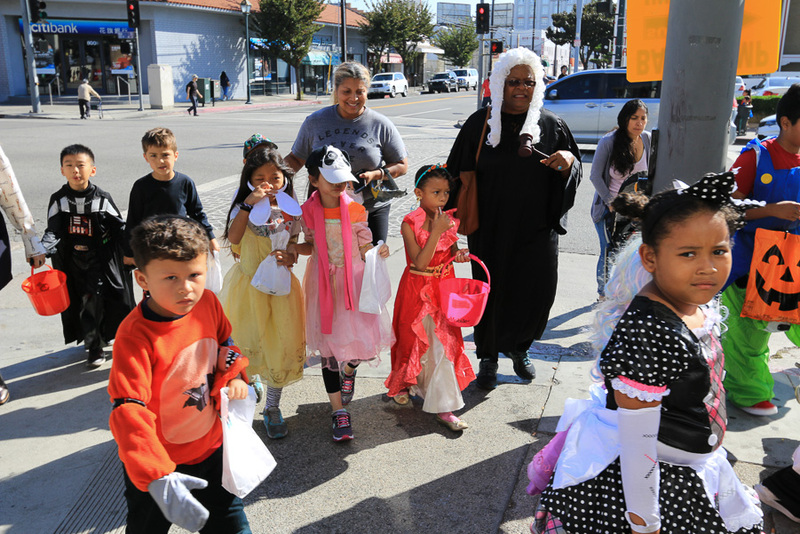 It was Halloween and the kids were out trick or treating. 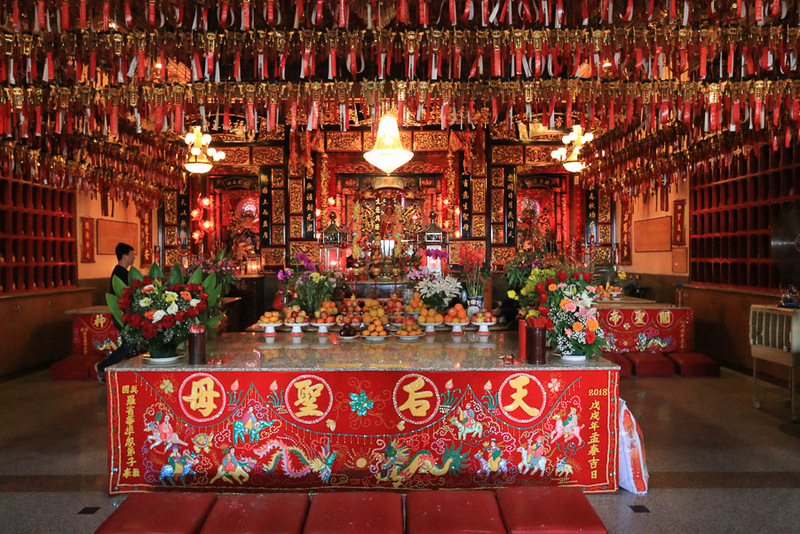 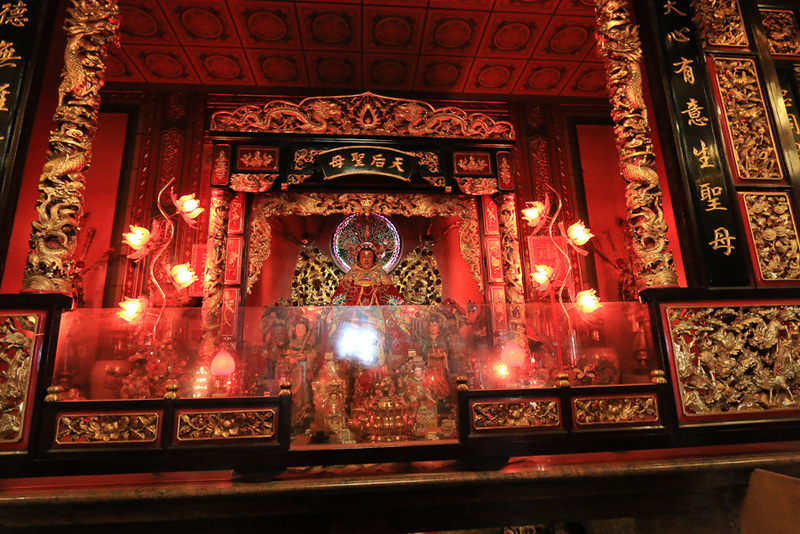 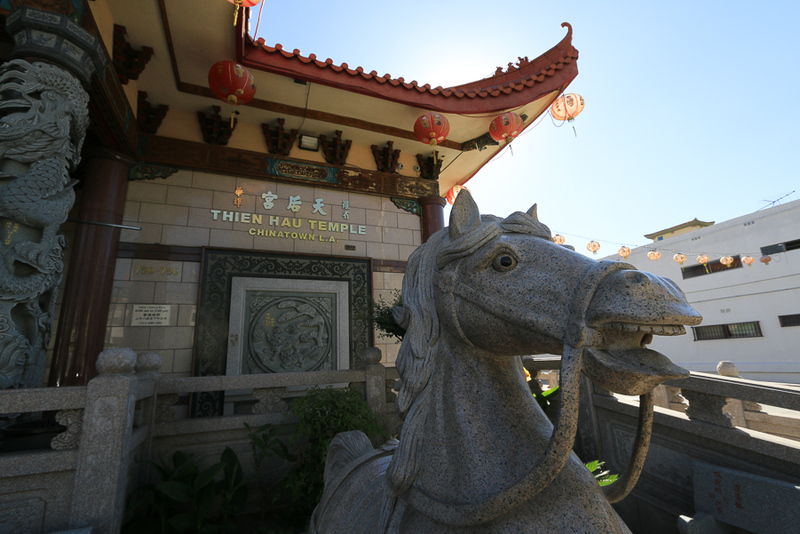 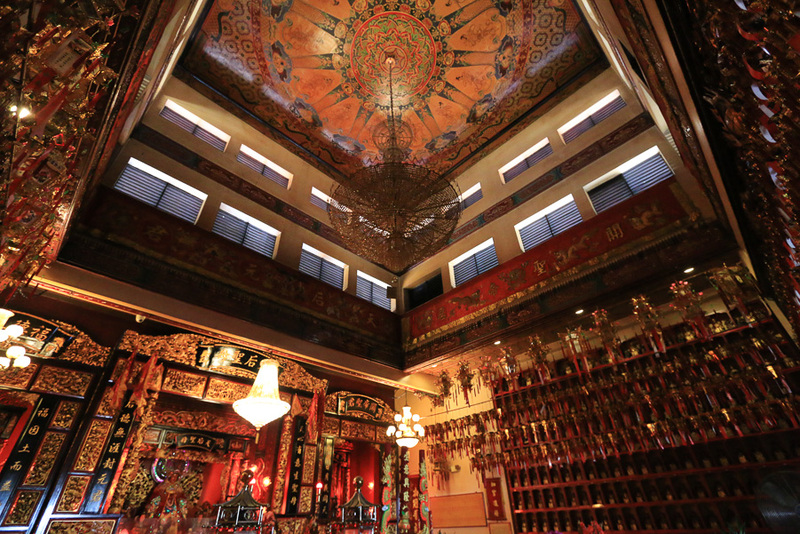 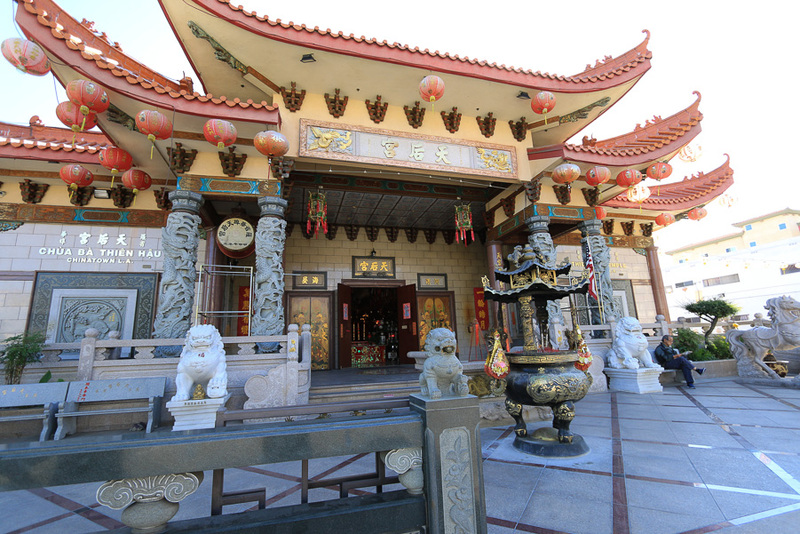 This is the beautiful Thien Hau Temple. 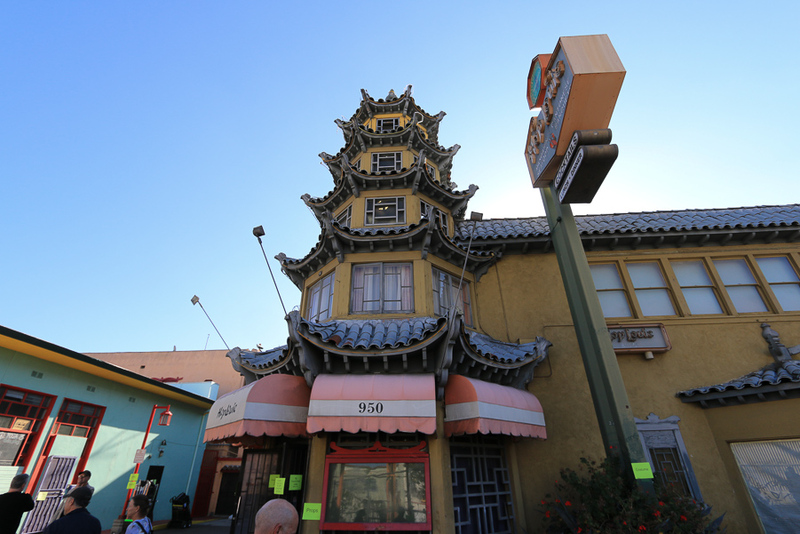 Just like Little Tokyo, Judy had to do some research to figure out where to eat here. 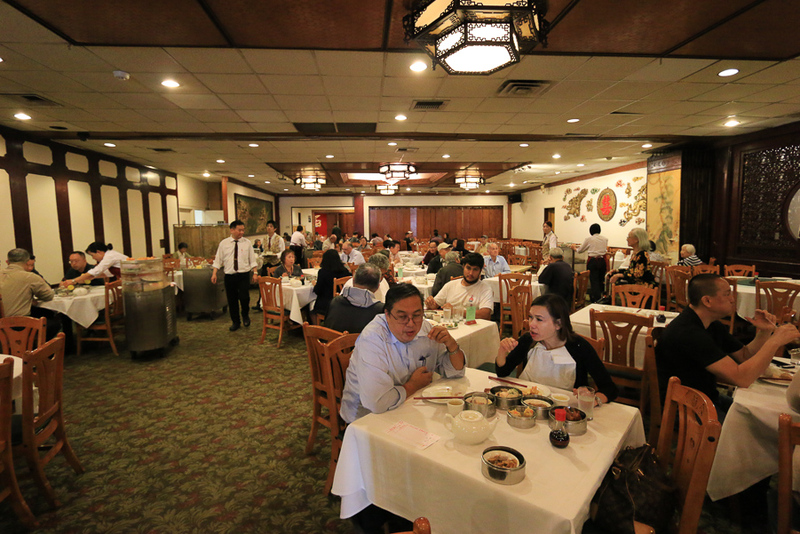 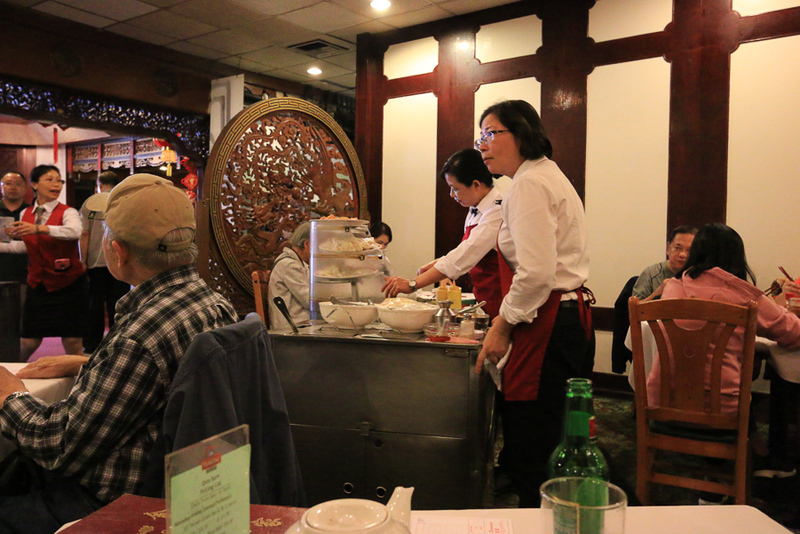 We chose the Golden Dragon for its authentic dim sum dishes. 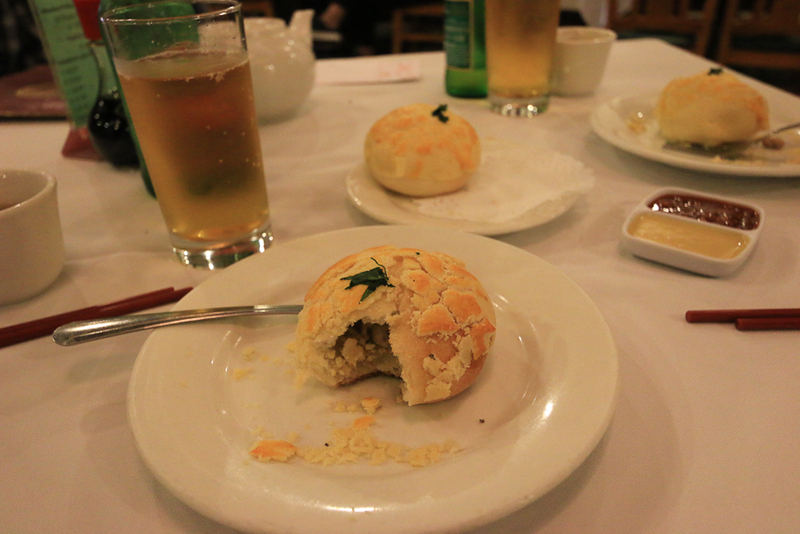 We split three chicken buns with a nice, sweet dough. 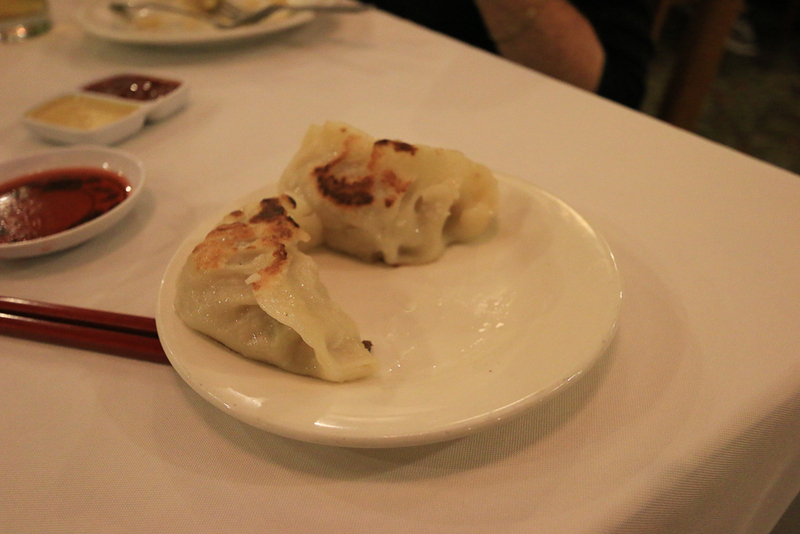 Then we split five pork pot stickers. 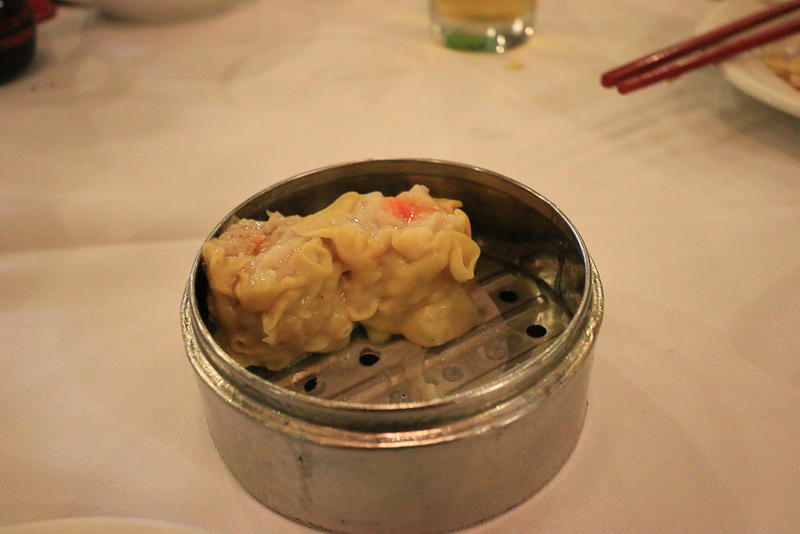 Lastly, it was four pork and shrimp dumplings. 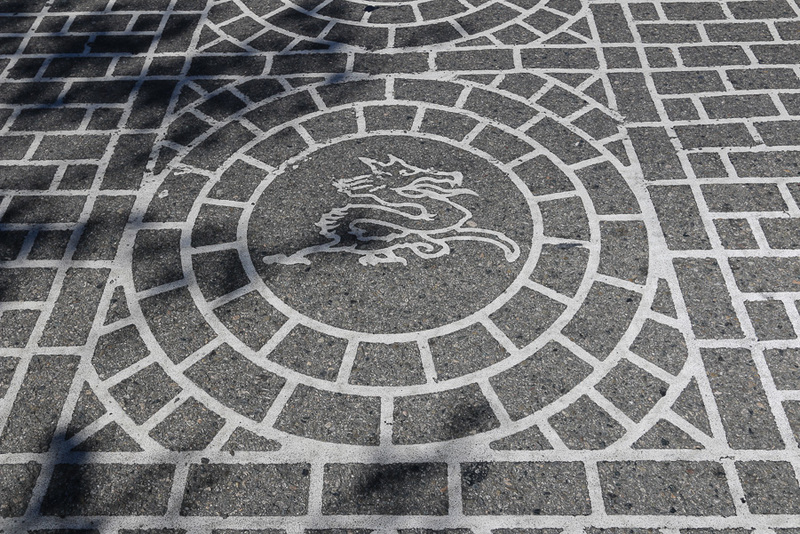 All of the crosswalks in Chinatown had these mosaic designs. 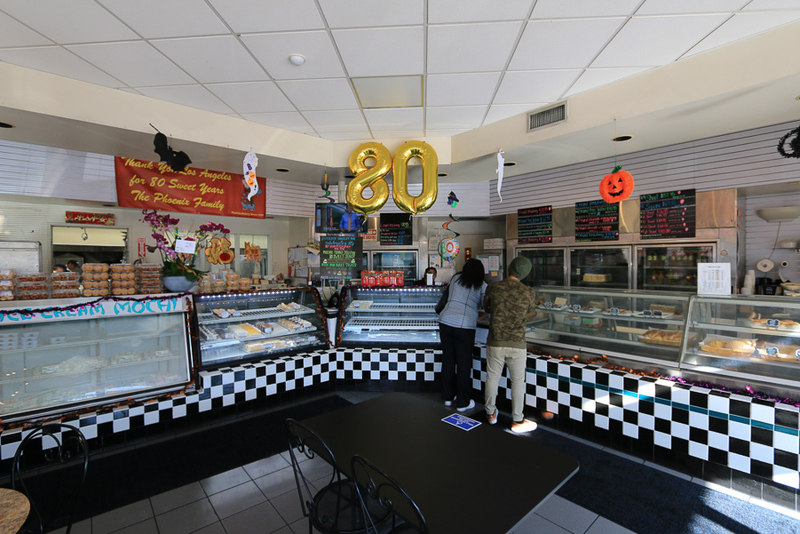 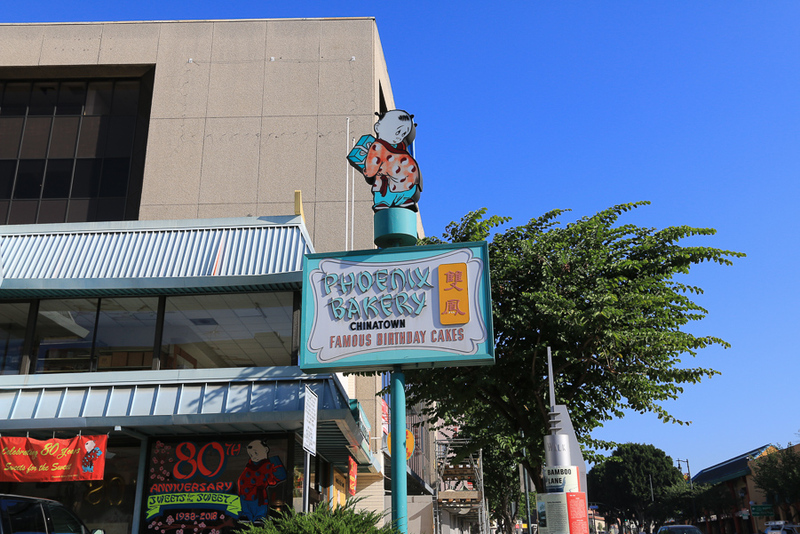 The Phoenix Bakery has been here for 80 years and it's still going strong. 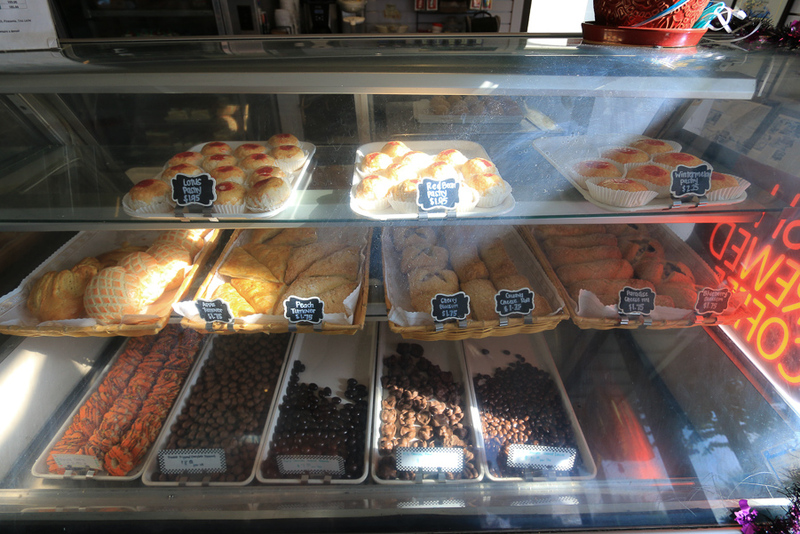 After our chocolate-almond cookie with honey and a chocolate mochi, we headed home.